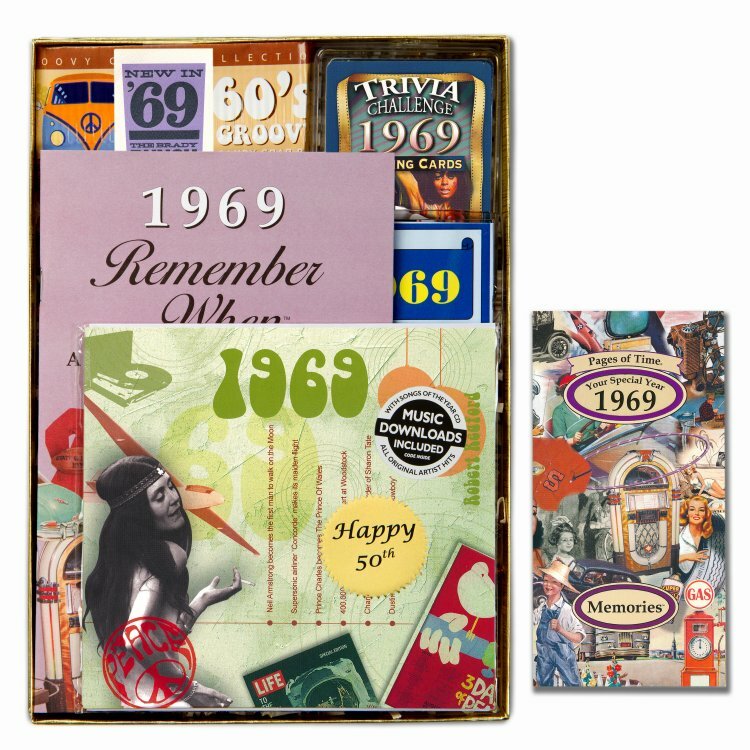 Buy our 1969 Time Capsule that highlights what happened that year. 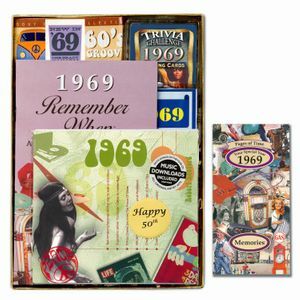 and a memory greeting card from the year that is trifold shaped with more information and room to write a message. Included in our special price is you chance to personalize the paper gold seal on the top with your own 50 character message of what you want to say to the person the time capsule is for. Just enter your message into the empty fill in box on this page.